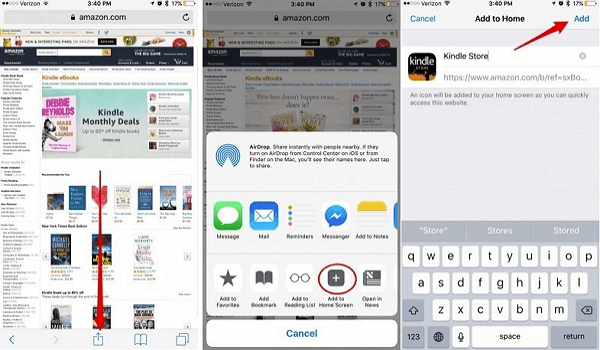 ﻿ How to purchase and download books from Kindle for iPad? Posted by Sisi Liu on 10/30/2018 4:48:24 PM. Apple products with fantastic design and graceful aesthetic appeal of both hardware and software attract tons of loyal Apple fans who’re willing to pay a premium for Apple products. iPad is in no doubt one of the must-haves among most Apple fans. Amazon’s Kindle Store featured with its largest ebook collection and lower prices makes it unbeatable when it comes to e-reading. iPad with larger screen is a good media for reading ebooks. With these two trends combined, it’s only natural that more and more people want to purchase and download ebooks from Amazon Kindle to their iPads. So here comes to what we’re going to talk about in this article – how to buy and download Kindle books to iPad. 1. Why can’t I buy Kindle books directly from the Kindle app for iOS on my iPad? 3. How can I import my personal documents to my Kindle app on iPad? Why can’t I buy Kindle books directly from the Kindle app for iOS on my iPad? It is widely known that you can’t actually purchase and download Kindle books directly from the Kindle app for iOS installed on your iPad. It’s quite annoying but we need to face the reality that you can never purchase an Amazon product using an Apple product due to the Apple-Amazon standoff. Apple charges a 30% premium for in-app purchases of any kind—including ebooks, which is unaffordable for Amazon to accept the terms. 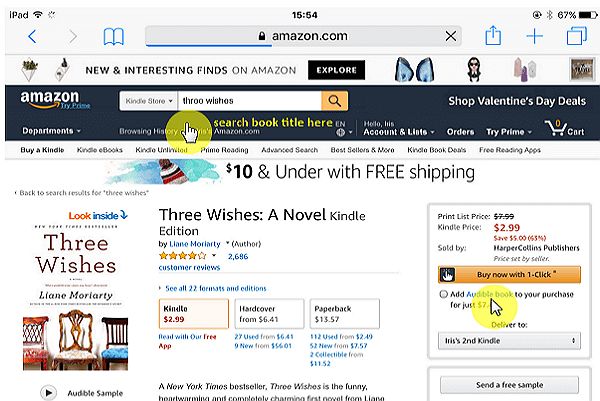 If you’re looking for a specific book, you search in the app, and you’re brought to a product page: There’s no option to buy and start reading, but rather two buttons: “Send a free sample” and “Add to Wish List.” The only way to buy a Kindle book on iPad is to fire up the iPad's Safari web browser and visit Kindle Store on Safari to make the purchase and have it delivered to the Kindle app. 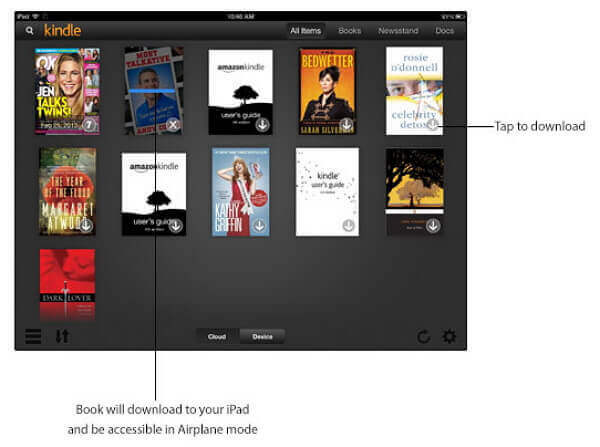 Tap “install” to install the Kindle for iOS on your iPad. 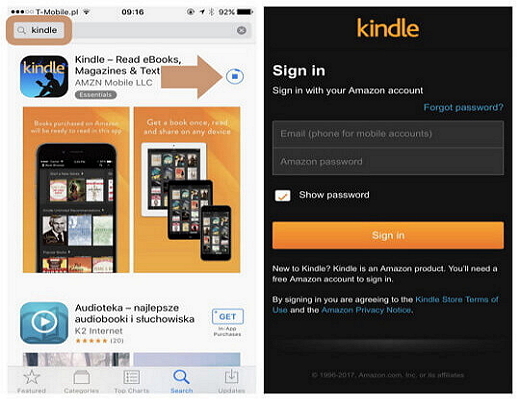 After installation of Kindle app on your iPad, please sign in with your Amazon account to register the application. click “Buy now with 1-click”. 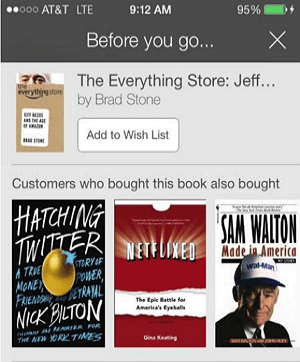 After purchased, the book will automatically appear in your Amazon Kindle and Kindle Reader library. Now open the Kindle app for iOS on your iPad, tap the book you just bought to download it to your iPad locally and get to reading! Then you can easily access the Kindle Store on your iPad and buy Kindle books at your disposal. After you purchase the Kindle books, these titles are automatically made available for download within the Kindle app on your iPad. When downloading completes, you can see a checkmark next to the book tile and it will be shown in “Device” tab. After downloading the desirable Kindle books to your iPad, you can start reading the book by taping the book cover. How can I import my personal documents to my Kindle app on iPad? 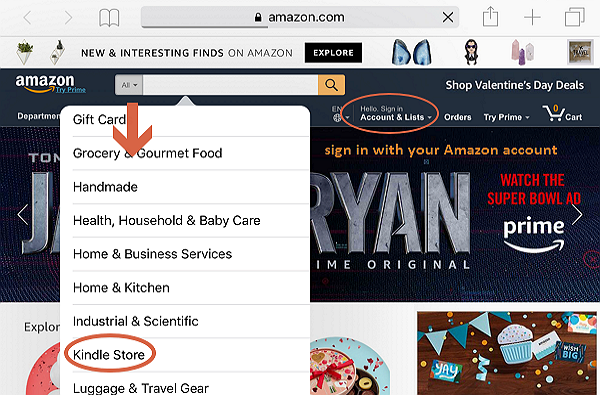 Besides Kindle books you purchased from Amazon, you can also send your personal documents directly to the Kindle app for iOS on your iPad via Kindle Personal Documents Service. Personal files other than those formats cannot be imported to your Kindle app or devices. These personal documents can be sent from an authorized email address or a Send to Kindle application. Method 1. You can send the personal documents to the Kindle app for iOS on your iPad by emailing them to your Send to Kindle email address. Your Send to Kindle email address is a unique address that is assigned to you when you register your compatible device. To be delivered successfully, an email can contain up to 25 attachments. It can be sent to up to 15 distinct Send to Kindle email addresses. The total size of your documents should be 50 MB or less. Please ensure the sender's email address is added to your Approved Personal Document Email List. Method 2. 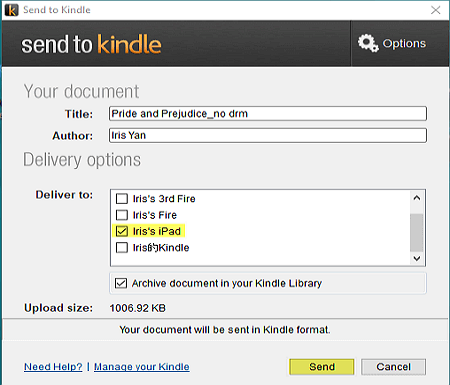 You can send the personal documents to the Kindle app for iOS on your iPad from a Send to Kindle application. 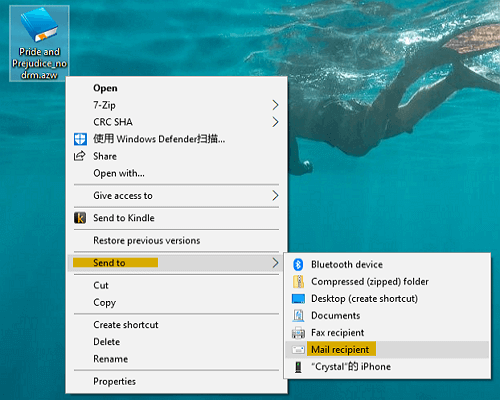 Please download and install Send to Kindle for PC or Send to Kindle for Mac on your computer. 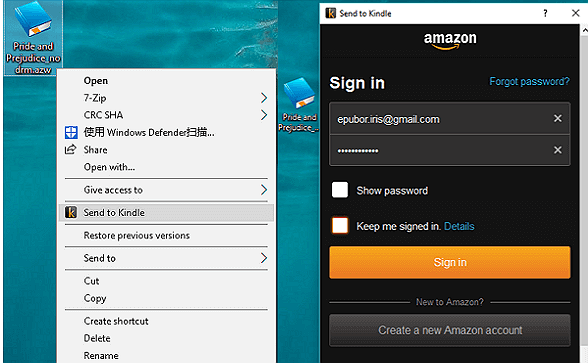 Right click on the personal file and select "Send to Kindle". Deliver it to your iPad. P.S. Only DRM free personal documents can be imported to your Kindle app for iOS on your iPad, hence I highly recommend you to install the best eBook DRM removal and converter – Epubor Ultimate! Non of which has been downloaded on my Kindle?? Thank you for your comments. 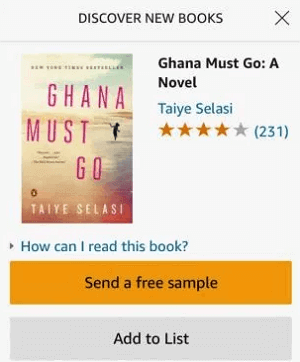 Have you click download button after the purchase? Is kindle is the device that you choose to send the Kindle books to? Please sync your Kindle library to see if these book are in cloud tab at your Kindle.